When a stronger law in Fire Protection in buildings? 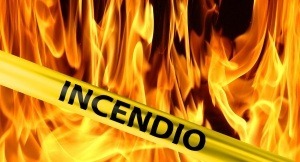 A 64-year-old and 66-year-old couple died yesterday in the early morning due to smoke coming from a fire in their home in Castellón, according to the sources. The incident occurred at about 3:30 am on Sunday in an independent two-storey house. Firemen moved to the place. They found the death bodies when entering into the house. The fire was extinguished almost three hours later and the causes remain unknown, so the investigation remains open, according to the same sources. The The Fire Protection in buildings, a pending task is, perhaps, an incomplete branch in our sector and it is probably because we believe that the protection against fires is expensive or it is only required in huge centers and buildings and is not necessarily so. Imagine a block of apartments where there are families living continuous; the statistics say that most of the fires originated in this kind of buildings have it beginning in the kitchen, in heaters, in ovens, in candles or in cigarettes… That’s why Tecnifuego-aespi suggest to think how to improve safety in these kind of buildings. In case of fire, firemen arrive at the place in 10-30 minutes for some rural areas, although it is demonstrated that they are very effectives when they are in charge; what to do in while they are arriving? Selfprotection would be a proper solution; that means having at home proper tools in order to avoid personal injuries and minimize the damage once the fire is declared.